Hamilton, AL – Mr. Michael Duke, also known affectionately as “Pee Wee” Duke, passed away Sunday, September 25th, 2016, at his residence. Visitation, 6:00 – 9:00 p.m., Tuesday, September 27th, 2016, at Bethlehem Methodist Church, Alabama Highway 19, Hamilton, Alabama. Funeral service, 11:00 a.m., Wednesday, September 28th, 2016, at the church. Burial in Bethlehem Cemetery in Marion County, Alabama. Hamilton Funeral Home, Hamilton, AL., in charge of arrangements. Hackleburg, AL – Ms. Dianna Marie Gardner Quinn, age 57, of Hackleburg, Alabama, passed away Monday, September 19th, 2016, at her residence. Visitation, 6:00 – 9:00 p.m., Wednesday, September 21st, 2016, at the Hamilton Funeral Home Chapel in Hamilton, Alabama. Funeral service, 2:00 p.m., Thursday, September 22nd, 2016, at Fairview Church in Hackleburg, Alabama. Burial in Cedar Tree Cemetery in Hackleburg, Marion County, Alabama. Ms. Quinn is survived by her husband, Danny Quinn; son, Jeremy (Mandy) Quinn; daughter, Tammy (Tony) Capasso; grandchildren, Aiden, Blake, and Colten Quinn, Kade, Makayla, and Kael Capasso; Brothers, Dennis Gardner, Donald Gardner, and Dale Gardner; and a host of nieces, nephews, other relatives and friends. She was preceded in death by her parents, Calvin and Margaret Gardner; and 1 daughter, Ammy Quinn. Hamilton Funeral Home, Hamilton, AL., in charge of services. Hackleburg, AL – Sheila Ann Turner Baggett, age 67, of Hackleburg, Alabama, passed away Wednesday, September 7th, 2016, at the North Mississippi Medical Center in Hamilton, Alabama. Visitation, 6:00 – 9:00 p.m., Thursday, September 8th, 2016, at the Hamilton Funeral Home, in Hamilton, Alabama. Funeral service, 11:00 a.m., Friday September 9th, 2016 at the funeral home chapel. Interment in Mount Pleasant Cemetery, in Brilliant, Marion County, Alabama. Hackleburg, AL – Ms. Linda Kay Wars, age 58, of Hackleburg, Alabama, passed away Thursday, August 18th, 2016, at her residence. Visitation, 12:00 – 1:00 p.m., Monday, August 22nd, 2016, at the Hamilton Funeral Home in Hamilton, Alabama. Funeral service, 1:00 p.m., Monday, August 22nd, following the funeral service, at the funeral home. Burial in Mt. Home Cemetery in Bear Creek, Marion County, Alabama. Columbus, MS – Ms. Nellie Hollis Pennington, age 85, of Columbus, Mississippi, passed away Monday December 8th, 2014 at Windsor Place Nursing Home in Columbus, Mississippi. Visitation, 6:00 – 8:00 p.m., at the Otts Funeral Home, Wednesday evening, December 10th, 2014. Funeral service, 2:00 p.m., Thursday, December 11th, 2014, at the Otts Funeral Home Chapel. Burial in Crews Cemetery. Elder Joe Nettles officiating. Nellie was born November 25th, 1929, in Lamar County, Alabama, to the late George Jefferson “Bud” and Nina Smith Hollis. In her early years, she attended Sulligent High School and then worked throughout adulthood inside her home as a homemaker. When she found extra time around taking care of her family, she enjoyed reading. She was an active Al-Anon member and a member of Sulphur Springs Primitive Baptist Church. She is survived by 2 sons, Phillip (Faye) Pennington, Jr., Jackson, MS., and Jeffrey Lyle Pennington, Russellville, AL. ; 2 daughters, Elaine (Edwin) C. Hance. Hamilton, MS., and Janis (Dom) Weinberger, Gastonia, N.C.; 9 grandchildren; several great-grandchildren; and a host of other relatives and friends. She was preceded in death by her husband, Phillip Pennington, Sr.; her parents, George Jefferson “Bud” and Nina Smith Hollis; 3 sisters, Bobbie Nell McDaniel, Robbie Gray Lewis, and Jo Ann Jordan; and 1 brother, Freddie Hollis. Otts Funeral Home, Sulligent, AL., in charge of arrangements. 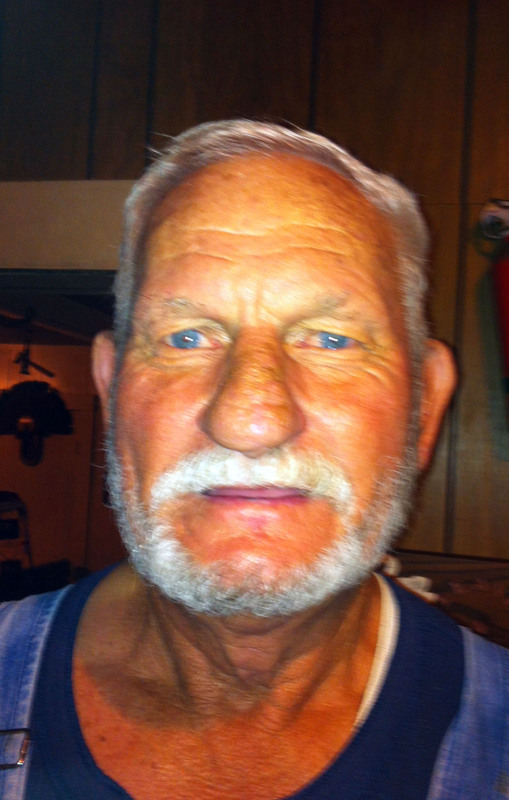 Guin, AL – Mr. Wyman Barnes, age 74, of Guin, Alabama, passed away Friday, July 25th, 2014, at his residence. Visitation, 12:00 – 2:00 p.m., Sunday, July 27th, 2014, at the Norwood Funeral Home in Guin, Alabama. Funeral service, 2:00 p.m., Sunday, July 27th, 2014, at the Norwood Funeral Home Chapel in Guin. Bro. William Atkins officiating. Burial in the Barnes Family Cemetery in Guin, Alabama. He is survived by his wife, Carole Ann Dykes Barnes, Guin, AL. ; 1 daughter, Deborah Tucker, Guin, AL. ; 2 sons, Perry (Josephine) Barnes, Guin, AL., and Purvy (Vivian) Barnes, Lynn, AL. ; 5 grandchildren, Georgianna K. Barnes, Justin Nathaniel Barnes, Kelsey Nicole Barnes, Kayla Matychowiak and Jariat Langston; 1 sister, Faye (Paul) Hunsinger, Guin,. AL. ; and 4 brothers, Clinton (Imogene) Barnes, Twin, AL., Clayton (Linda) Barnes, Guin, AL., Roy Harold Barnes, Carbon Hill, AL., and Freddy Barnes, Guin, AL. ; and a host of other relatives and friends. He was preceded in death by his parents, Purvy Ashmore and Audie Lou Green Barnes. *Norwood Funeral Homes, Inc., Guin, AL., directing. Hamilton, AL – Mr. Bobby Joe Sims, age 76, of Hamilton, Alabama, passed away Friday night, July 4th, 2014, at UAB Hospital in Birmingham, Alabama. Visitation, 6:00 – 9:00 p.m., Sunday, July 6th, 2014, at Shiloh Baptist Church. Funeral service, 2:00 p.m., Monday, July 7th, 2014, at Shiloh Baptist Church. Louis Coker, Robert Huffman and Dwayne Satterwhite officiating. Burial in Shiloh Cemetery, Marion County, Alabama. Mr. Sims was born December 2nd, 1937, to the late Tom and Caroline Harder Sims. Mr. Sims was a founding member of Shiloh Volunteer Fire Department and was a member for over 40 years. He is survived by his wife of 56 years, Shirley Sims; 1 daughter, Lisa (Larry) Wiginton; 1 grandson, Coby (Bethany) Wiginton; a host of nieces, nephews, other relatives and friends. He was preceded in death by his parents, Tom and Caroline Harder Sims; brothers and sisters, Prudie Sims, Maudie Young, Tommy Sims, and J.C. Sims; half brothers and sisters, Grady Sims, Thurmon Sims, Bill Sims, and Grace Sanderson. Hamilton Funeral Home, Inc., Hamilton, AL., directing.